03/07/2019 Con Edison announced last month that it will stop taking new natural gas customers in Westchester because of supply chain issues. 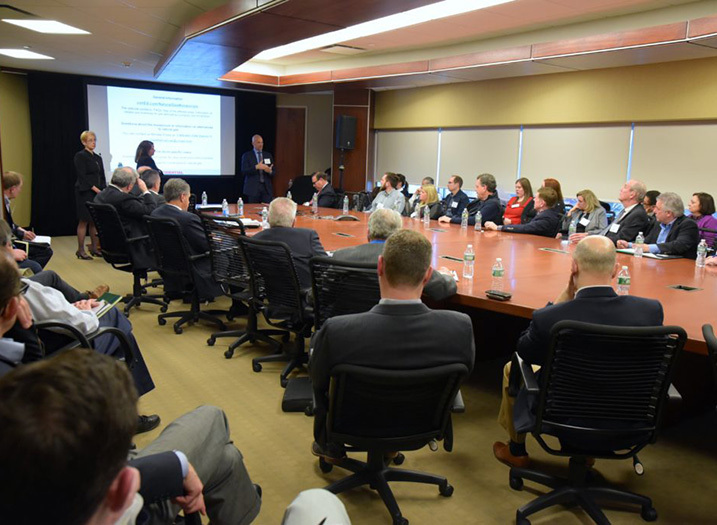 Since then, The Business Council of Westchester (BCW) has been taking the lead in working towards solutions to the moratorium that will have a negative impact on economic development in Westchester. The BCW named 16 community leaders to a task force seeking short and long-term solutions to natural gas shortages. 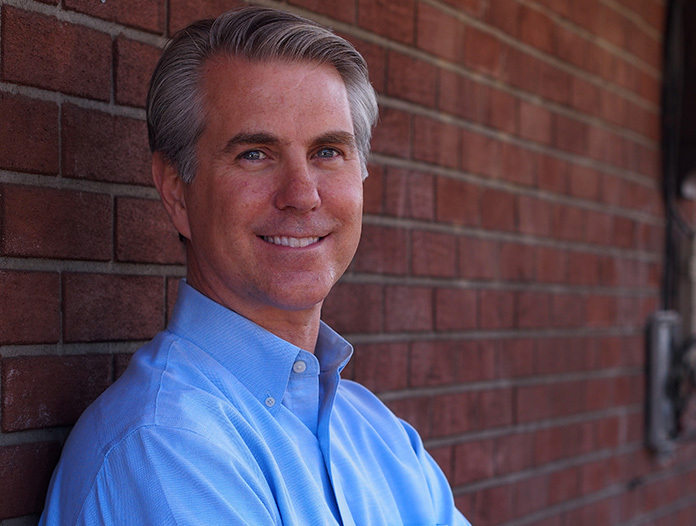 OLA’s President, Patrick Lynch, P.E., was named to this Task Force. 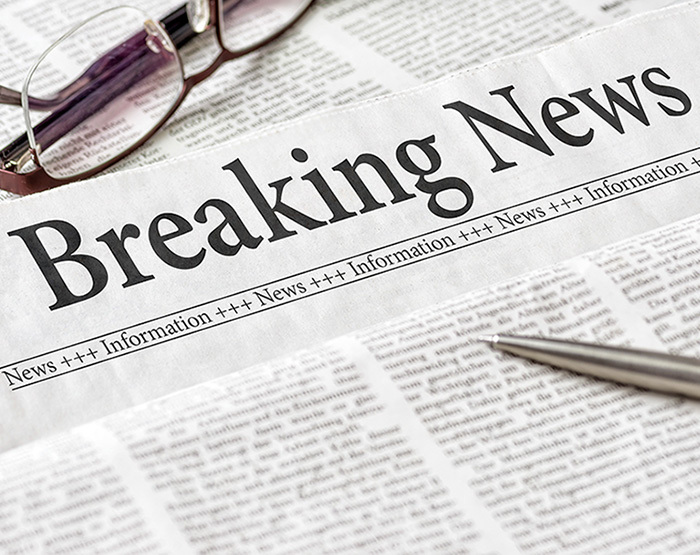 “While there are no easy solutions, there are potential steps that can be taken to ease the immediate problem that we will be carefully evaluating with the goal of recommending a plan of action steps as quickly as possible,” said Marsha Gordon, President and CEO of the BCW. Read more about the forum here. 12/2018 OLA is pleased to announce the recent promotion of Brian Tyler, P.E. from Senior Engineer to Associate Engineer. 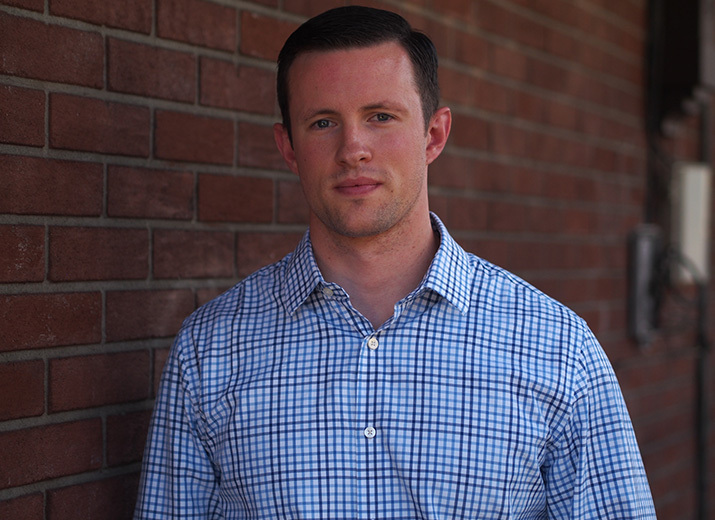 Mr. Tyler has been a mechanical engineer with the firm since 2005, having spent his entire career with OLA since graduating from Cornell University. 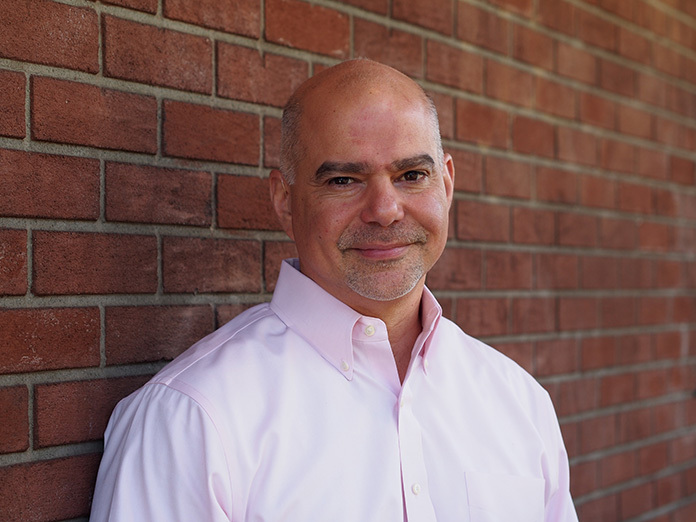 Well versed in HVAC, plumbing and fire protection system design, Brian has worked on a wide variety of project types, including government, retail, healthcare, and education facilities, as well as corporate interiors. 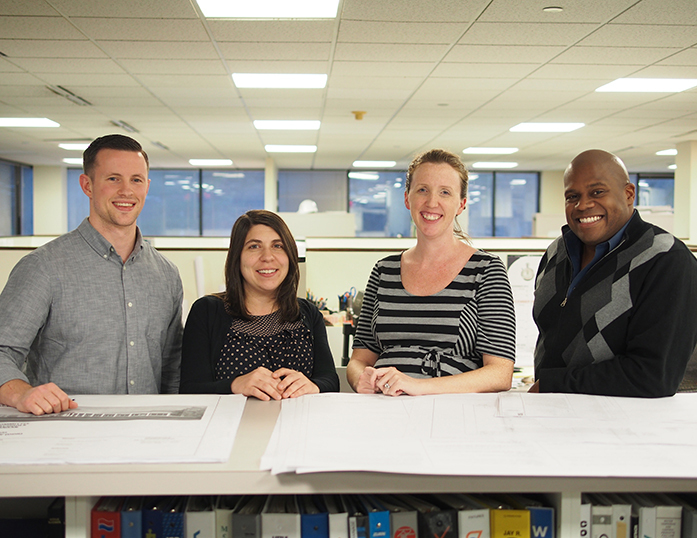 Current clients include ArchCare, Rudin Management, Touro College, and Potamkin Development. 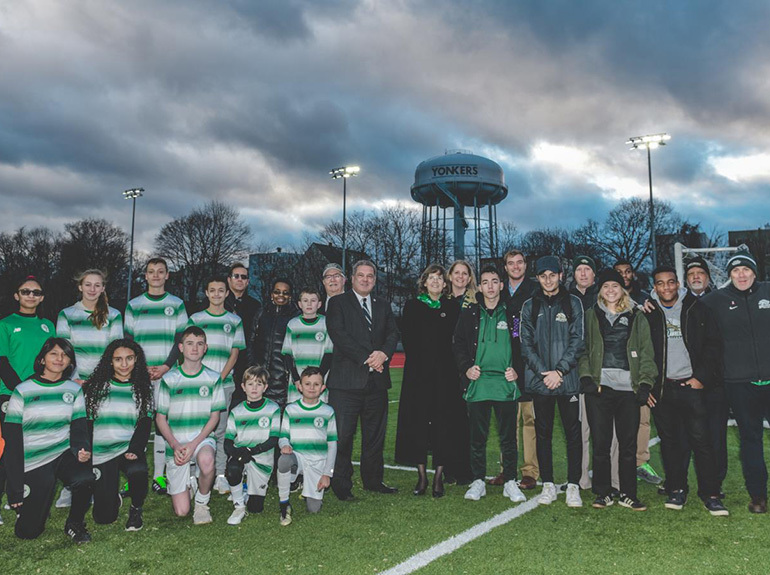 11/28/2018 Yonkers mayor Mike Spano attended the opening of the lighting at Fleming Field on November 28, announcing the public-private partnership between the City of Yonkers and Sarah Lawrence College. OLA designed the lighting for the upper field to match the lower field, which included six, 80 foot tall LED light towers. The project involved extending the primary electric service to the upper field to power the lights. The new lighting will not only benefit Sarah Lawrence College, but all of the Yonkers Community. Read more on the project and the opening here. 11/2018 OLA is pleased to announce the recent promotion of Christine DiSisto, P.E. from Engineer IV to Senior Engineer. 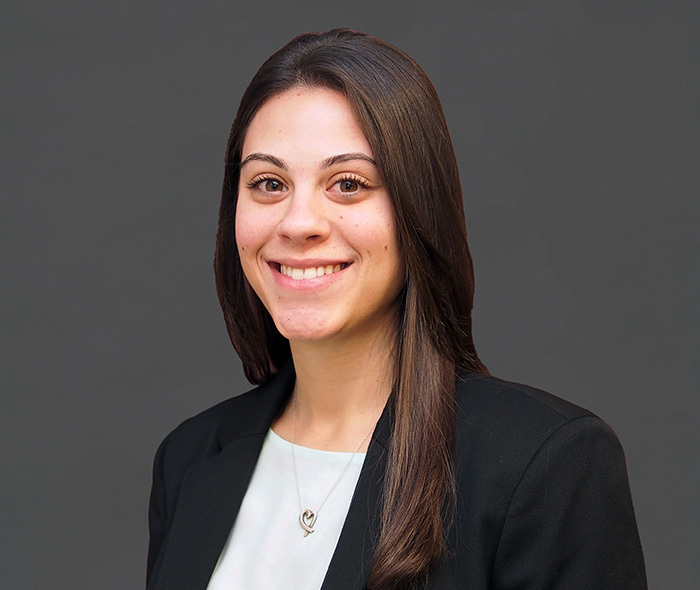 Ms. DiSisto has been with the firm for seven years in the Mechanical Engineering Services Group specializing in fire protection system design. Ms. DiSisto has extensive experience in all facets of fire protection engineering, including fire alarm, fire sprinkler, fire suppression, mass notification, and smoke control systems. Some of her recent projects include Saint Joseph’s Seminary, Clancy Warehouse, Barnes and Noble at Monroe College, NYPA Data Center, Annex Tower Apartment Building, and multiple projects for Touro College and College of Mount St. Vincent. 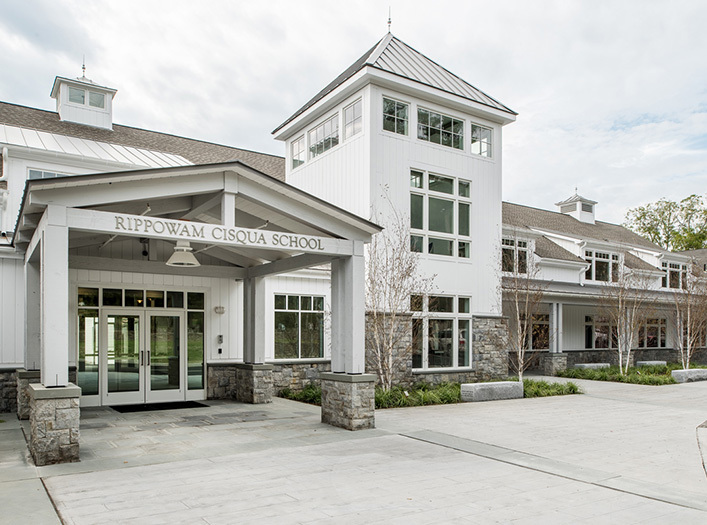 10/25/2018 In collaboration with KG+D Architects, OLA provided MEP and fire protection engineering for the 32,000 square foot renovation to the Rippowam Cisqua School upper campus. Rippowam Cisqua is a private coeducational day school for grades Pre-K through 9. The project included new science classrooms, library/ media center, an innovation lab that opens to an interior tiered courtyard, a new dining hall, a general classroom addition, renovated art classrooms, a new main entrance lobby and administrative offices and improved vehicular and pedestrian circulation. The completed facility received an AIA Westchester + Hudson Valley High Honor Award. 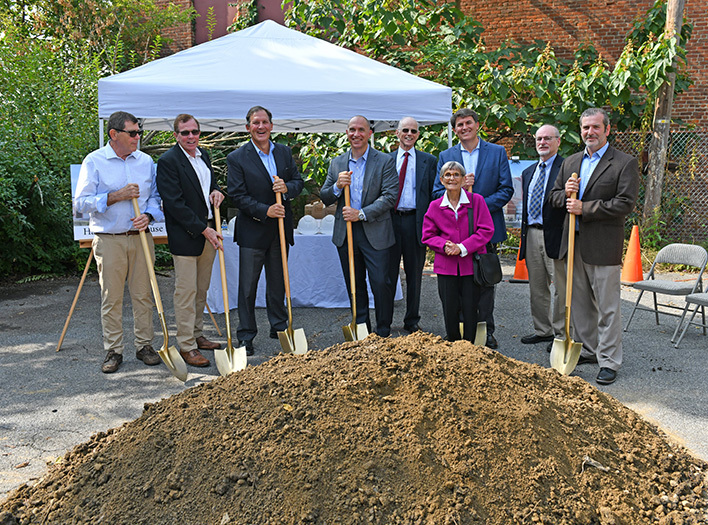 10/04/2018 Verco Properties broke ground for the Harrison Playhouse Lofts on October 4th. The development will take over the old Harrison Cinema, a 1920’s movie theater that has been closed for over a decade. The space will include 36 luxury apartments, retail, an underground parking garage and amenities including an outdoor deck, rooftop patio, gym, and movie screening room. During the ceremony, Harrison Mayor Ron Belmont praised the development stating, “the rebirth, the renaissance of downtown Harrison is happening today.” Collaborating with Stephen Tilly Architects, who also attended the groundbreaking ceremony, OLA is the MEP engineer for the project. Read more on the groundbreaking ceremony here. 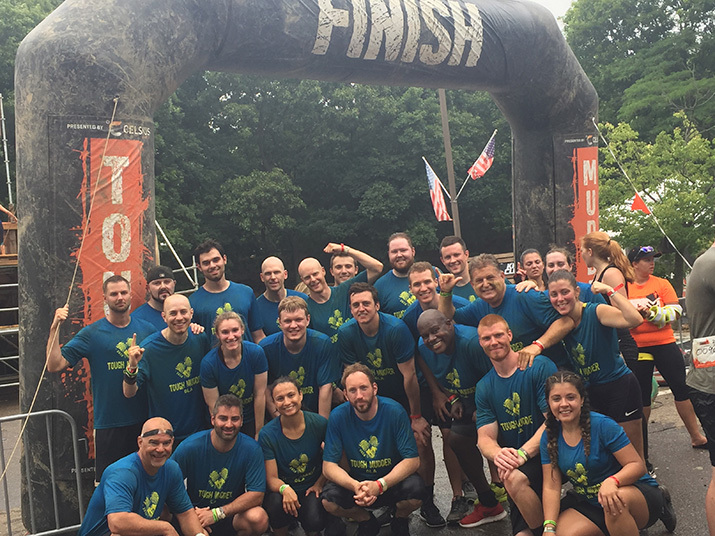 07/22/2018 A team of 23 OLA employees participated in a Tough Mudder Half this July in Bethpage, NY. The Tough Mudder Half consists of 5 miles of mud and epic obstacles specifically designed to test your teamwork and toughness. Everyone finished and with minor injuries! To see more photos of our team in action, click here. 06/2018 Principal in Charge of Electrical Engineering, John Torre, P.E. has been selected to serve as a member of the Electrical Code Revision Committee for the NYC Department of Buildings 2018 Construction Codes Revision. John’s group is working on Chapter 4: Equipment for General Use Committee. As a committee member, John will attend meetings and actively participate in the discussion of potential changes to the Code through re-writing of specific sections of the current code within his areas of expertise. The committee works to improve the quality of life and safety of all New Yorkers. 05/2018 Engineering News-Record New York came out with its Top Design Firms of 2018. OLA is pleased to announce they ranked 86. The list ranks the largest U.S.-based design firms, both publicly and privately held, based on design-specific revenue from the previous year. See the whole list here. 04/11/2018 The Engineering and Science University Magnet School (ESUMS) is a 5-story, 123,000 square foot college-preparatory inter-district magnet school in West Haven, CT. Completed in 2017, the STEM education facility serves as a pipeline for middle and high school students into higher education and future careers in the state’s science and technology economy. OLA was the energy consultant for the state-of-the-art facility. 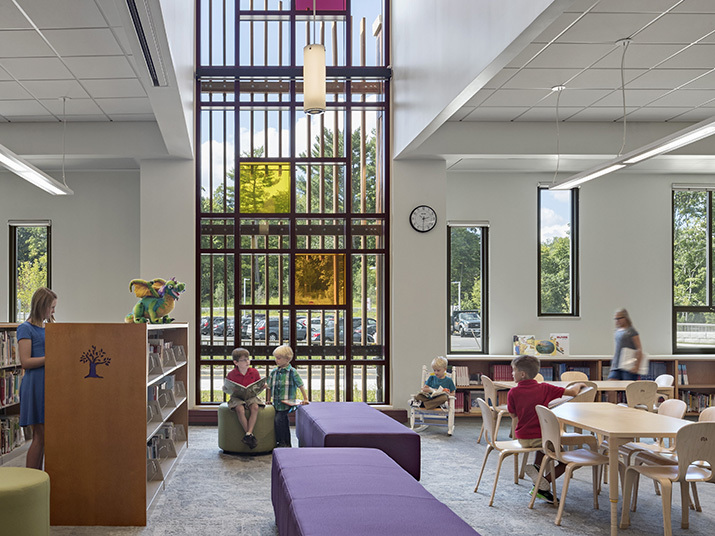 The project was selected as the first-place winner in the 2018 Connecticut Building Congress Project Team Awards competition in the K-12 Schools category. The award will be given at the Connecticut Building Congress Annual Project Team and Scholarship Awards event held on June 12. 04/08/2018 The Swiss Re Americas Headquarters Building in Armonk, NY is a 420,000 square foot office building with a 7-story parking garage for 700 employees. OLA was brought on board to perform an energy audit of the campus and look at replacement options for the aging absorption chiller plant through the NYSERDA FlexTech Program. Energy measures included upgrades to the central chiller and boiler plant, domestic hot water system, airside systems, lighting, HVAC and lighting controls, and building envelope. As a founding partner of RE100, Swiss Re has a goal of becoming 100% powered by renewable energy by 2020. To that end, OLA assisted Swiss Re in progressing to that goal with the design and commissioning of an upgrade to the central cooling and heating plant. Subsequently, OLA provided solar system consulting for a 2.7 MW ground-mounted photovoltaic solar array covering 10 acres at the Swiss Re Americas headquarters. 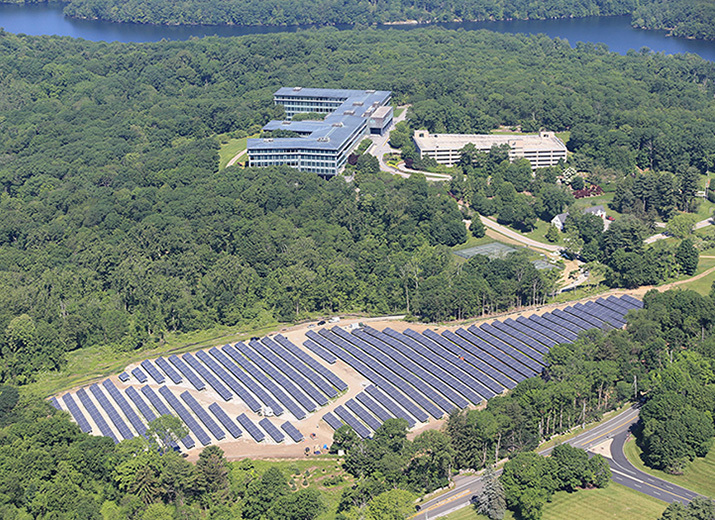 It is the largest solar array in Westchester County with 7,700 individual photovoltaic panels, and it currently provides 60 percent of the power to the headquarters building. The energy reduction project received a Platinum Award for Energy Engineering from the New York Chapter of the American Council of Engineering Companies (ACEC). 01/10/2018 Personnel news, multiple project awards, donating to the Puerto Rico Hurricane Relief, and more. Read our full 2017 year-end newsletter here. 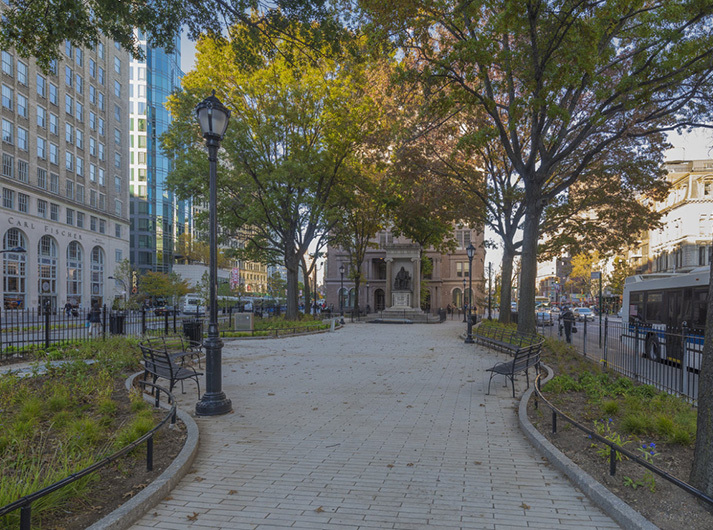 12/2017 In collaboration with WXY Architecture, OLA provided plumbing and electrical design for a streetscape project and park renovation in the vicinity of Cooper Square and Astor Place in New York City. The pedestrian improvement plan, initiated by the NYC Department of Transportation and managed by the NYC Department of Design and Construction, transformed the network of streets, reclaiming underutilized roadway creating new opportunities for public space. The design developed a multi-purpose urban precinct through the creation of three new linked plazas along the axis of 4th Avenue, each with a unique experience of its own program and lighting, including several new kiosks. This renovation received an honorable mention award in urban design by the 2017 Architect’s Newspaper Best of Design Awards. 12/01/2017 OLA is pleased to announce the recent promotion of Robert Gruffi, P.E. to Associate. 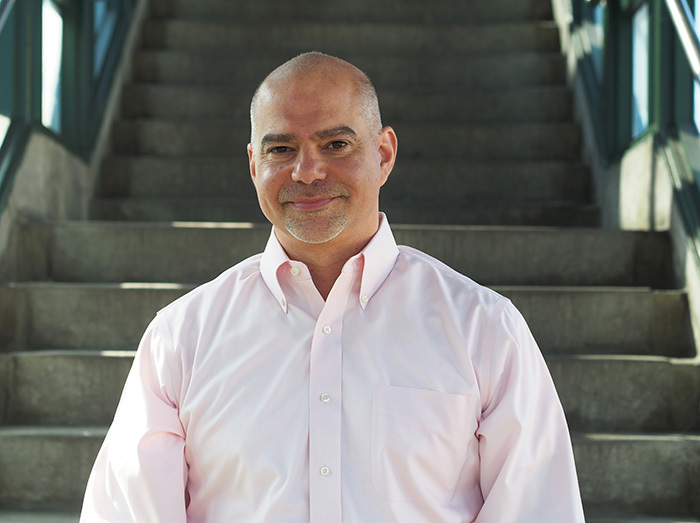 Mr. Gruffi has been a mechanical engineer and project manager with the firm for 10 years. Current projects that Mr. Gruffi is working on include the rooftop hotel at Bell Works in Holmdel, NJ; the renovation of St. Michael’s Villa in Englewood Cliffs, NJ; 1 Great Jones Alley in Manhattan; and multiple projects for Ralph Lauren’s corporate facilities. 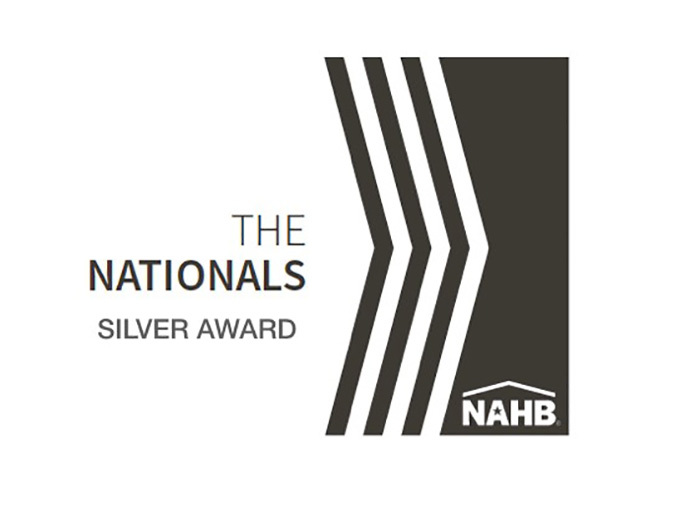 11/20/2017 NAHB’s National Sales and Marketing Council has announced Silver Award Winners for The Nationals new home sales and marketing awards. Villa BXV has earned four silver finalist awards at the Nationals including Best Landscape Design, Best Interior Merchandising, Best Architectural Design of an Attached Community, and Attached Community of the Year. The Nationals salutes and honors the best in the building industry for their determination, integrity, creativity and endurance. The silver award is given to 4-6 entries in each category, and from those entries the gold award is presented at the Nationals Gala in Orlando, FL in January 2018. See more information on The Nationals 2018, and a full list of all 2017 Silver Award winners here. 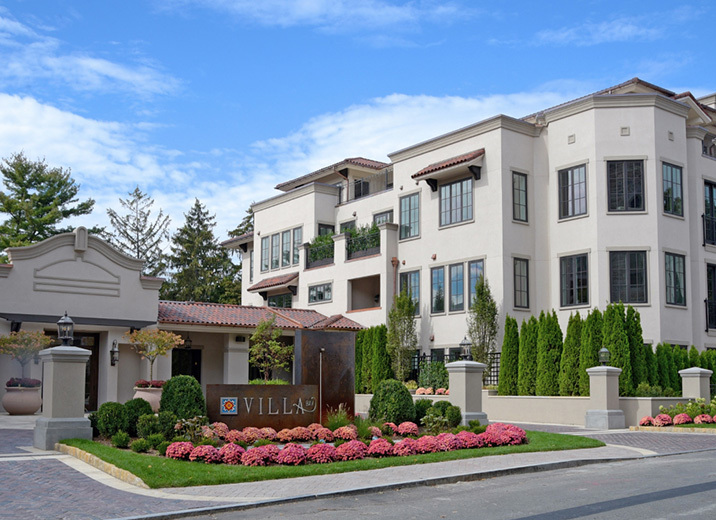 10/20/2017 Villa BXV, the new 110,000 square foot condominium complex in downtown Bronxville, NY, has opened after roughly two years of construction. OLA provided MEP engineering for the luxury condominium building in collaboration with Sullivan Architecture. Building amenities include a concierge service, fully equipped fitness center, community room, fully landscaped plaza courtyard, and two levels of underground parking with 309 spaces. Bronxville Mayor Mary Marvin commented on the opening of Villa BXV, “In many ways it has been the missing piece in the downtown and now it has been seamlessly filled with this great new building.” Read more about the opening of Villa BXV here. 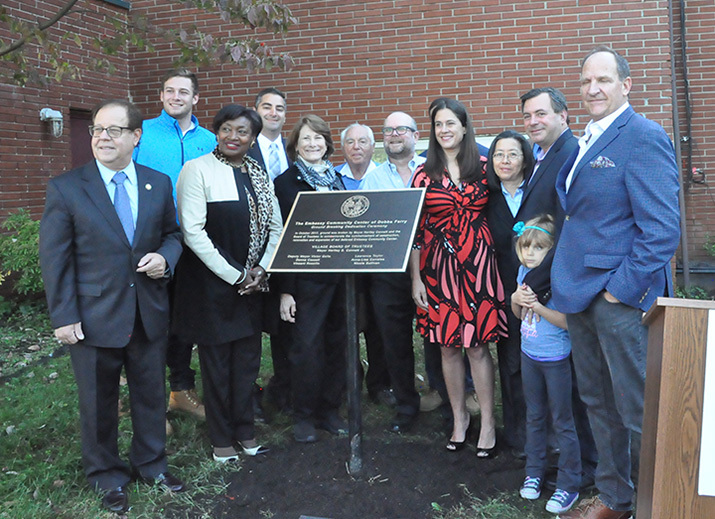 10/20/2017 On October 20th, ground was broken by Mayor Hartley Connett and the Board of Trustees to commemorate the commencement of construction, renovation and expansion of the Dobbs Ferry Embassy Community Center. The new facility will offer expanded programming and meeting space areas. Working with Hahn Engineering, OLA is the MEP Engineer for the project. The Mayor, Village Board of Trustees, construction team, and members of the Community/Senior Center attended the dedication ceremony. You can keep track of the project construction on the Village’s website here. 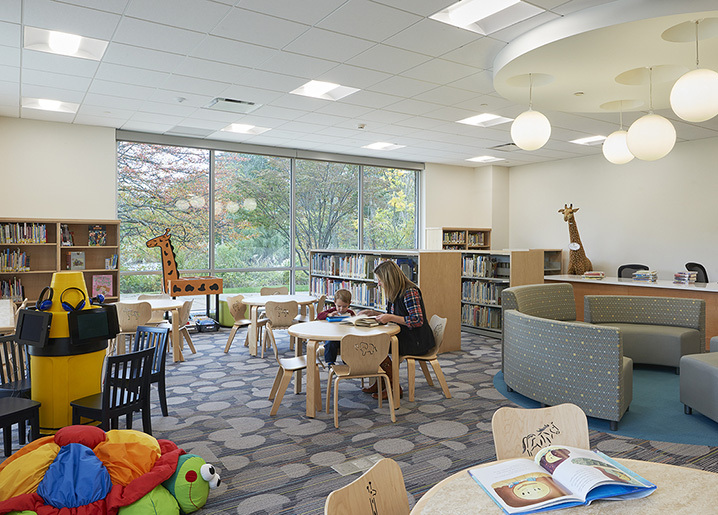 10/11/2017 In collaboration with KG+D Architects, OLA provided MEP engineering and fire protection engineering for the 45,000 square foot renovation to the Great Neck Library. The project was a complete renovation of the existing library to support their current services and emerging programming and technology. The completed space received an AIA Westchester + Hudson Valley High Honor Award, and was recognized at their 2017 Design Awards Ceremony held at the Hudson River Museum in Yonkers, NY. 10/11/2017 Working with Gallin Beeler Design Studio, OLA provided MEP engineering for the renovation and addition to the Hudson River HealthCare facility in Peekskill, NY. 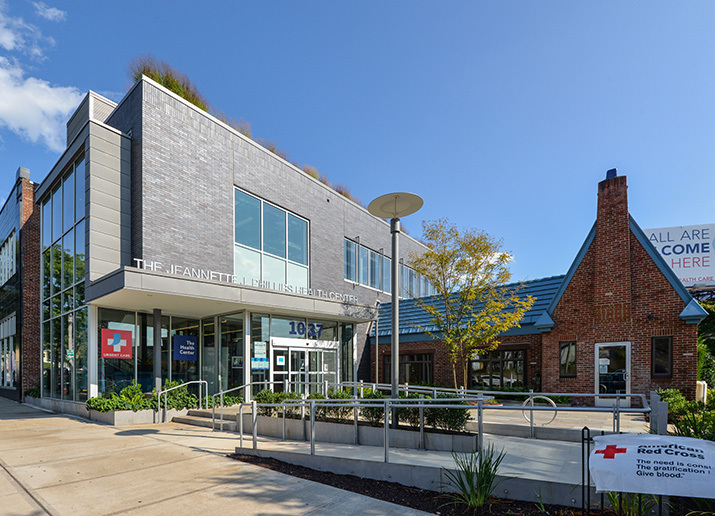 In addition to serving the general community, the healthcare facility serves the low-income population of Peekskill, with a special focus on those who are elderly, homeless, living with HIV/AIDS, and recovering from alcohol and substance abuse. The completed 24,000 square foot space received an AIA Westchester + Hudson Valley Citation Award, and was recognized at their 2017 Design Awards Ceremony held at the Hudson River Museum in Yonkers, NY. 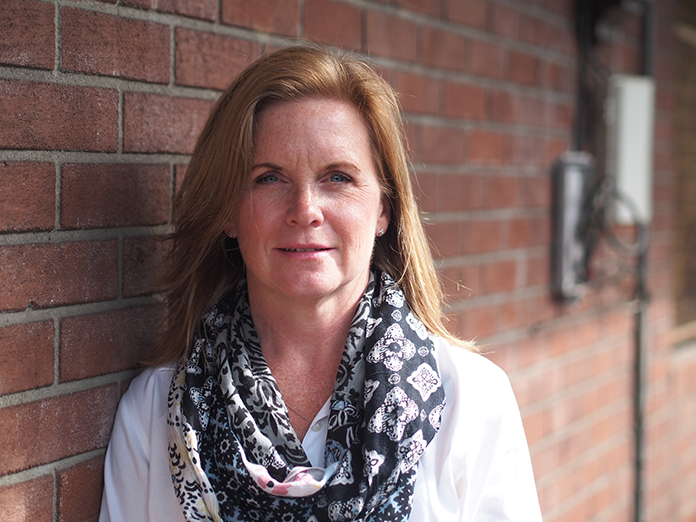 09/2017 Principal in Charge of Mechanical Engineering, Jill Walsh, P.E. has been selected to serve as a member of the Mechanical, HVAC, and Boiler Technical Committee for the NYC Department of Buildings 2017 Construction Codes Revision Cycle. As a committee member, Jill will attend meetings and actively participate in the discussion of potential changes to the Code through re-writing of specific sections of the current code within her areas of expertise. The committee works to improve the quality of life and safety of all New Yorkers. 08/14/2017 OLA recently became a 2017 PSEGLI Technical Assistance Efficiency Partner in the Commercial Efficiency Program (CEP). As an approved partner, OLA can provide assistance to PSEGLI commercial customers who require engineering and design services in order to qualify for certain rebates or certifications. 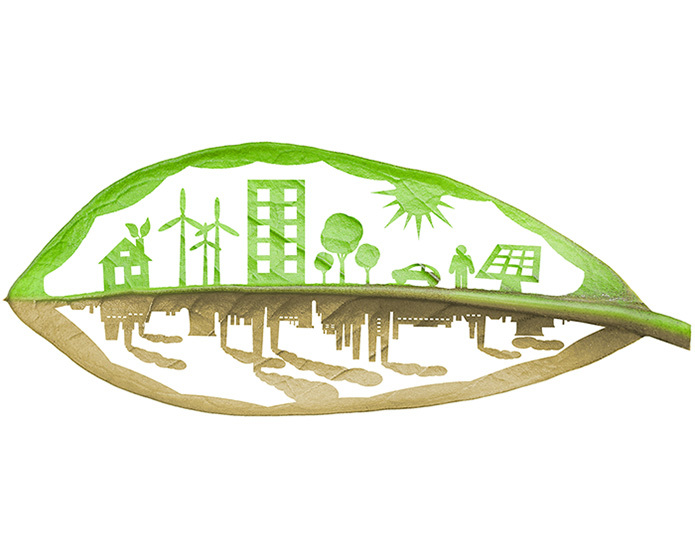 The CEP supports LEED certification and requirements, ENERGY STAR Benchmarking certification and requirements, and will occasionally fund studies to determine the energy savings potential of a technology. 06/27/2017 Tammany Hall was recently featured in Architizer, along with select adaptive reuse projects. 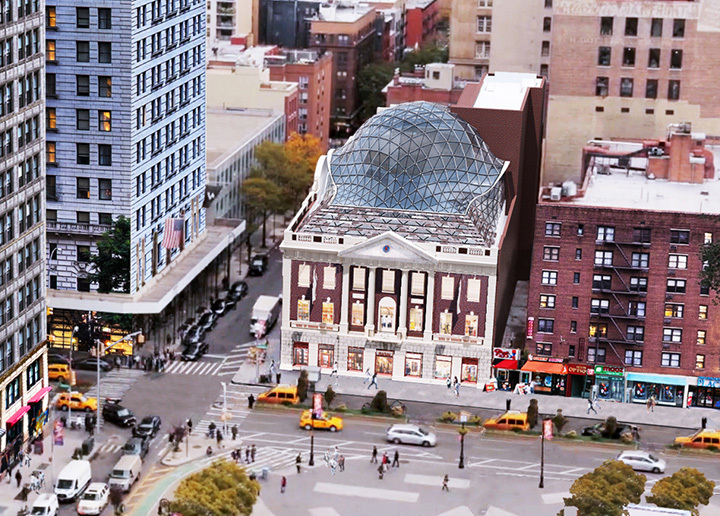 The article highlights eight imaginative projects that “breathe new life into deeply revered historic sites all over the globe.” Located on New York City’s Union Square, Tammany Hall will generally consist of retail, event, corporate and theater spaces. The roof of the building is being transformed into a dome of glass and terra cotta, inspired by a turtle’s shell. Collaborating with BKSK Architects, OLA is providing commissioning services for this project, which was also awarded an Architizer A+ Award earlier this year. Read the full article here. 06/16/2017 Swiss Re officially launched Westchester’s largest solar array at its U.S. Headquarters in Armonk, NY on June 15th. 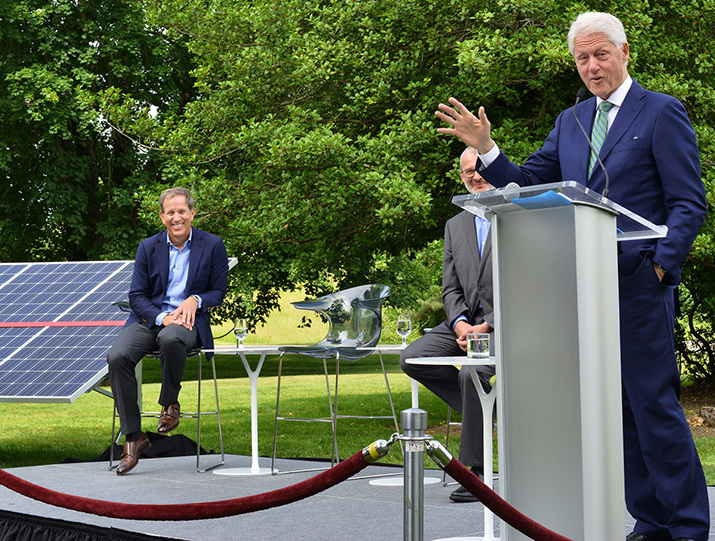 Eric Smith, President & CEO of Swiss Re Americas, was joined by former President Bill Clinton to cut the ribbon at the celebration. The 2 megawatt array has 7,700 individual photovoltaic panels and is expected to provide 60 percent of the power to the 700 employees in its headquarters. Clinton told the crowd “This is a company that for more than a decade has made a commitment to addressing climate change in a way that works for its employees, works for the company, and works for the economy as a whole.” Read more about the solar project and the ribbon cutting ceremony here. 06/07/2017 As the commissioning authority for the new Sandy Hook Elementary School, OLA was a member of the Project Team that was honored with a Gold Award from Building Design + Construction’s annual Building Team Awards. 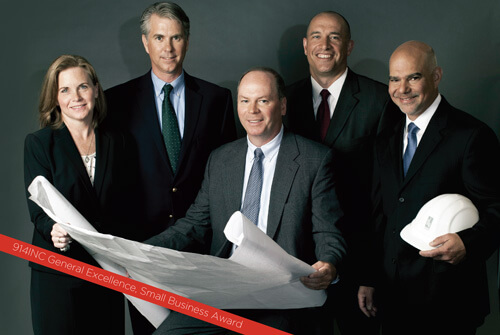 The awards program celebrates excellence in team collaboration and design/construction solutions. 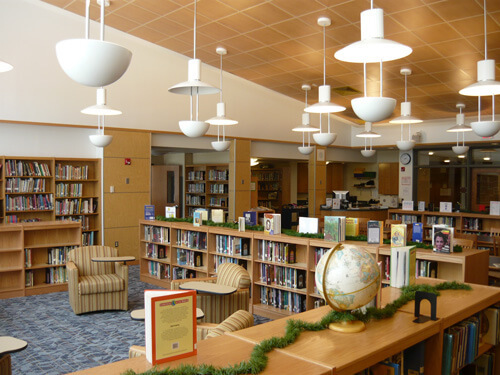 The Project Team worked hand and hand with the town of Newtown, CT on every aspect of the school’s planning, design, and construction. This included collaborating with more than 50 participants of the project’s programming committee, as well as working with the teachers and parents to develop workshops to inform young children about the project. Read more here. 04/11/2017 Man Made Music was the cover feature of Mix Magazine in April. The article was a comprehensive biography of their studio “office.” Rather than establish a stock library for purchase or license by multiple users, Man Made Music develops unique sets of musical elements for each of their clients. Their 10,000 square foot office is on the top floor of a 20-story building and holds four studios offering different dimensions and functions, a café/creative lounge, and a laboratory/conference room. Features designed within the Penthouse include an industrial-strength storage area network that gives them the ability to take a project from one room to another, a programmable audio system, and LED lighting which is hooked up to a DMX system. 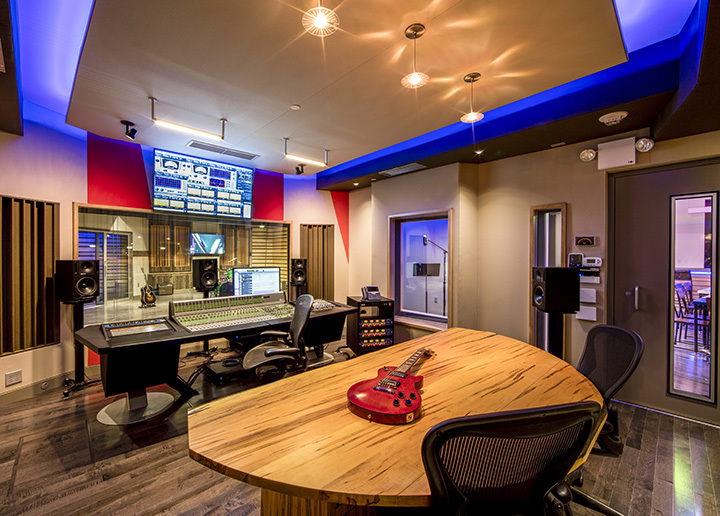 In collaboration with FM Design, OLA provided the MEP system design for the Man Made Music studio complex. Read the full article here. 03/2017 In an expansion move, OLA Consulting Engineers has announced the opening of its new Manhattan office located at 12 East 49th Street. “We’ve been doing business in New York City since we started in 1974. In fact, in many years, half of our revenue is generated from clients in the city,” said Patrick F. Lynch, P.E., President of the company. “Having an office in Manhattan provides us with new opportunities for growth. It also enhances our ability to recruit young professionals who want to work and live in the city,” he added. Current New York City clients include Ralph Lauren, Rudin Management, Archdiocese of New York and Pyne Companies Ltd. OLA has also worked on projects in the city for the Brooklyn Navy Yard, Battery Park City, The College of Mount Saint Vincent, St. Ignatius Loyola School, Convent of the Sacred Heart, Saint Francis Xavier Church, Brooklyn Junction Mall, the Argonaut Building, 200 Fifth Avenue, Tammany Hall, the Watchtower Building, and Longchamp’s Manhattan store. Read more about the opening here. 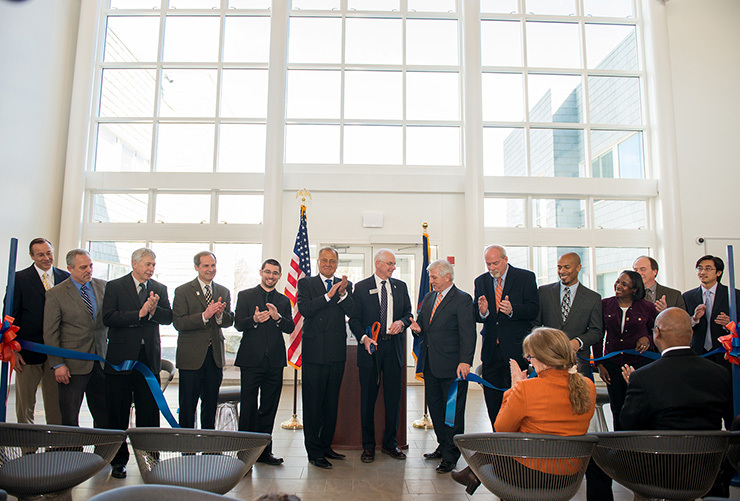 03/09/2017 SUNY New Paltz celebrated the opening of the modern, two-story Science Hall with a ribbon cutting ceremony. 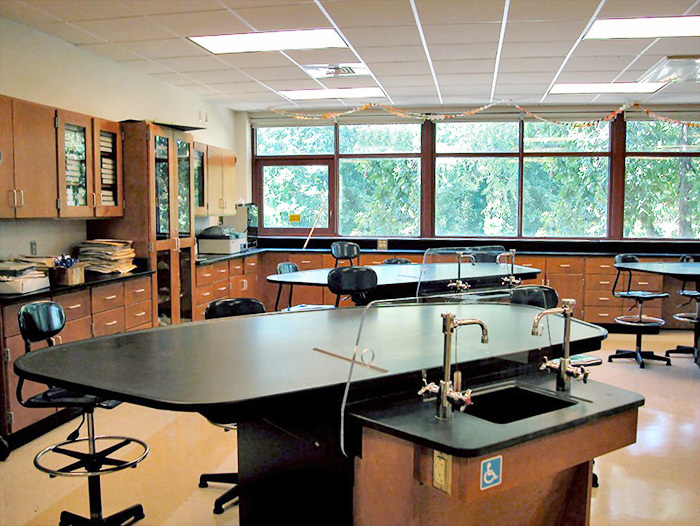 The Science Hall provides innovative learning spaces including state-of-the-art laboratories, lecture halls and other collaborative spaces designed for the teaching, learning and research needs of students and faculty, and supports students pursuing degrees in STEM disciplines. “This institution has a wonderful reputation for learning, empowering students and preparing them for the global economy,” said New York State Senator John J. Bonacic, who attended the ceremony. “The students here are very fortunate to have a new facility and an environment that will enable them to learn and be the best they can be.” OLA provided the commissioning services for the new 77,000 square foot facility. Read more about the Science Hall and the ribbon cutting ceremony here. 03/01/2017 OLA Consulting Engineers has won multiple awards for the engineering involved in an Energy Use Reduction Program for the Stone Barns Center for Food & Agriculture in Pocantico Hills, NY. As energy manager for the 80-acre farm and community center, OLA performed a comprehensive sustainability master plan to align building operations with Stone Barns’ mission to create a healthy and sustainable food system that benefits us all. The plan presents a path to net zero energy usage for the main buildings on the campus with a series of energy use reduction projects and on-site energy generation projects budgeted over a twenty-year period. Some of the projects already completed include variable flow kitchen exhaust systems, chiller plant upgrade, control systems upgrades, and control system operational changes. Future projects will include building envelope upgrades, a bio-mass boiler system, and a ground-mount photovoltaic solar energy project. This project was awarded the Engineering Project of the Year by the Westchester/Putnam Chapter of the National Society of Professional Engineers (NSPE) at their Engineers Week Awards Dinner on February 24th. The project will also receive a Platinum Award for Energy Engineering from New York Chapter of the American Council of Engineering Companies (ACEC) at their 50th Annual Engineering Excellence Awards Gala on Saturday, April 1, 2017. 02/06/2017 A/D/O is a multifaceted, creative space located in a former warehouse in Greenpoint, Brooklyn’s Industrial Business Zone. The new 23,000 square foot space opened earlier this year and includes spaces for events and exhibitions, design education, free communal workspace, a fabrication lab, a design shop, and the new restaurant Norman. The creative co-working space is oriented toward designer and maker types in New York and houses many resources providing a new kind of platform for designers. OLA collaborated with nARCHITECTS to provide engineering design of the HVAC, electrical, plumbing, and fire protection systems, as well as energy modeling services for this new space. Read more about A/D/O here. 01/01/2017 December 14 marked the fourth anniversary of the tragedy at Sandy Hook Elementary School. The new school, now in its first year of operation, replaced the old school and was designed for safety and security. Security was planned as a priority from the onset and has been designed into almost every aspect of the school. The community also wanted a nurturing environment for the future generations of the town. 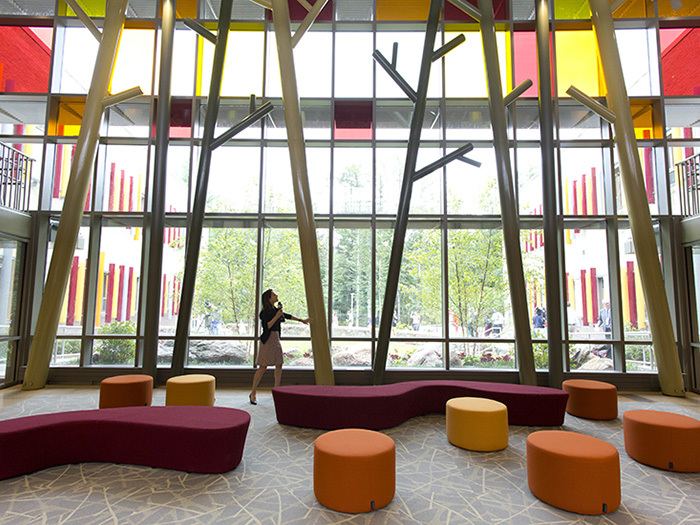 The new school translates the town’s priorities of vitality, community, and connection to nature into a building that feels bright, open, and playful. 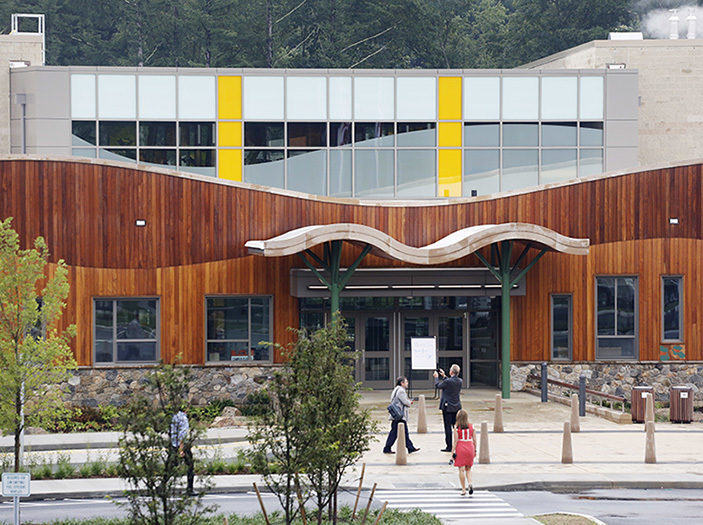 The principles of Crime Prevention Through Environmental Design (CPTED), a multidisciplinary approach to deterring criminal behavior, were used in designing the new Sandy Hook School. The CPTED strategies generate psychological and physical deterrents through “natural surveillance,” “natural access control,” and “territorial reinforcement.” Read more about the safety and security features of the new school here. 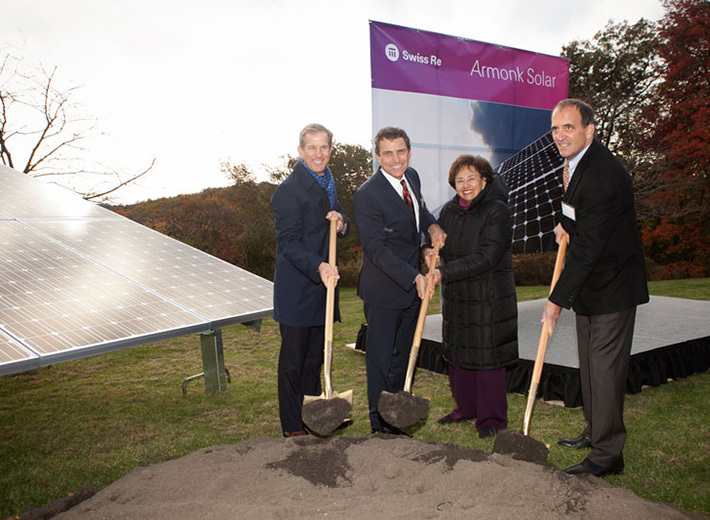 10/27/2016 Swiss Re held a groundbreaking ceremony on October 26 for a new solar field at its U.S. headquarters in Armonk. This project will add 7,700 individual solar panels surrounding the Westchester campus, generating 2 megawatts of power. It will be the largest solar installation in Westchester county, spanning 10 acres. This solar project is part of the company’s ongoing mission to reduce their environmental footprint. “We, along with a group of other large companies, formed the RE100 initiative a few years back when we committed that all electricity we would use to power all of our global operations will be from renewable resources by the year 2020,” said Swiss Re CEO and President J Eric Smith. You can read about the groundbreaking here. 10/21/2016 The new Edward Cardinal Egan Pavilion Home was blessed and dedicated by Cardinal Dolan on October 12. The home is located in the Riverdale section of the Bronx, and was an expansion of the St. John Vianney Center for Retired Priests, of which the John Cardinal O’Connor Pavilion is also a part. “We are blessed in this archdiocese with this magnificent facility,” Cardinal Dolan said “It’s a gift from God, for which we are most grateful. And it’s a gift from God’s people, many of whom are here today.” OLA provided the MEP design for the 41,000 square foot addition consisting of suites, recovery rooms, Chapel, lounge, dining room, fitness room, parlor, office spaces, and more. Read about the new Edward Cardinal Egan Pavilion Home and the dedication here. 10/07/2016 School Project Spotlight, 2016 Giants 300 Report, donating to Operation Backpack, and more. Read our full newsletter here. 09/14/2016 Principal in Charge of Electrical Engineering, John Torre, P.E., joins a roundtable discussion with peers from RMF Engineering, WD Partners, exp and Glumac. The panel of professionals cover mixed-use facilities and offer advice on bringing successful execution into the mix with HVAC systems. “We have seen that submetering for residential tenants has become more popular, with direct utility metering for retail tenants. Submetering also helps minimize and simplify the electrical distribution system for the residential portion of the building, which reduces construction costs.” Read the whole article here. 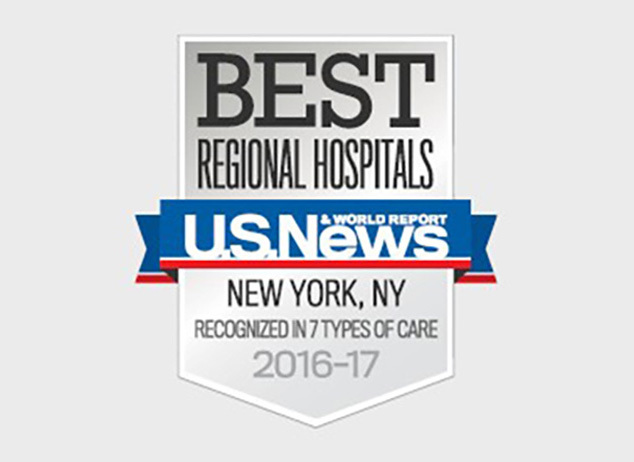 09/2016 U.S. News & World Report has once again recognized White Plains Hospital as a Best Regional Hospital for 2016 / 2017. The Hospital was ranked #15 in both the state and the metro area, and also received high performance rankings in several clinical areas. See this and a list of the many other awards and recognitions that White Plains Hospital has received here. 08/29/2016 Elementary school students started school at the new Sandy Hook Elementary School on August 29th, nearly four years after the tragic day. The $50 million replacement was built on the same property as the former school, but not in the old footprint. The school was designed to be attractive, environmentally friendly, conducive to learning and above all, safe. There is a guard at a gated entrance to the driveway along with a host of enhanced security features. OLA collaborated with Svigals + Partners and the project team to provide LEED fundamental and enhanced commissioning services for the school. Read more about the first day here. 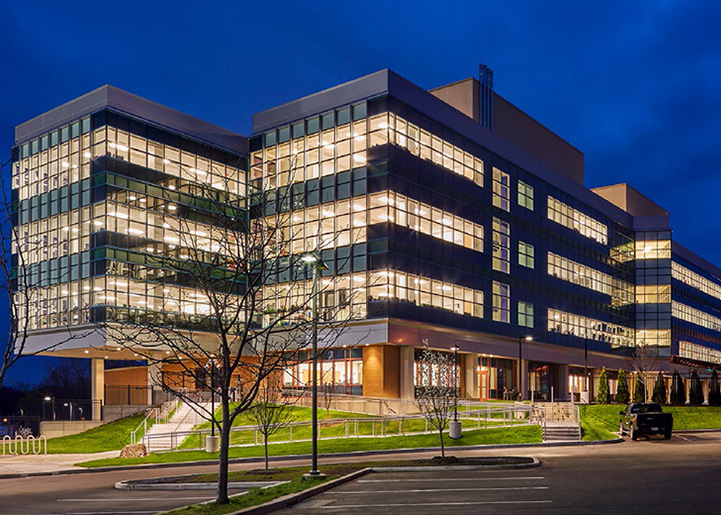 08/2016 OLA Consulting Engineers is the Energy Engineer and Commissioning Agent for the 4-year, $100 million renovation and addition project at White Plains Hospital. 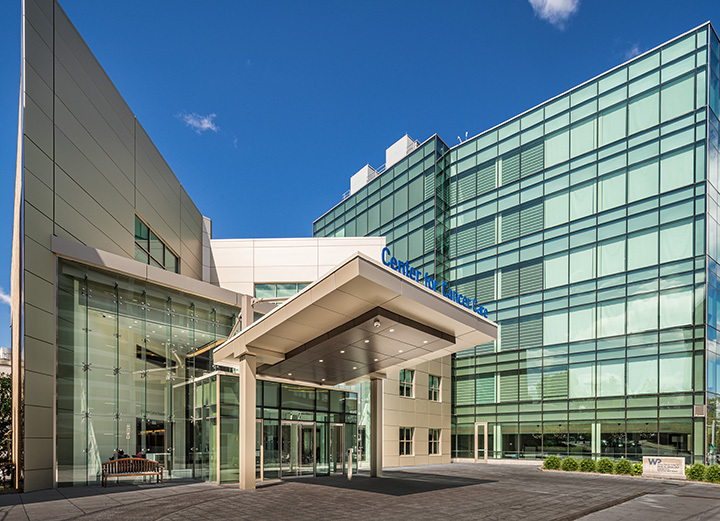 Several developments have been completed in this major modernization project including the newly expanded Center for Cancer Care; new lobby with a glass-enclosed skybridge connecting to the parking garage; new six-story tower with private patient rooms and state-of-the-art operating suites; additional cardiac catheterization lab; and renovated and expanded labor and delivery suites. White Plains Hospital was voted 8th in the Soliant Health’s list of Top 20 Most Beautiful Hospitals in the U.S. Read more about the transformation of the hospital here. 07/2016 Building Design + Construction ranks the nation’s largest AEC firms as part of the Giants 300 Report. Data for the Giants 300 charts are based on information supplied by the respective firms. OLA was ranked 51st among the Top Engineering Firms. 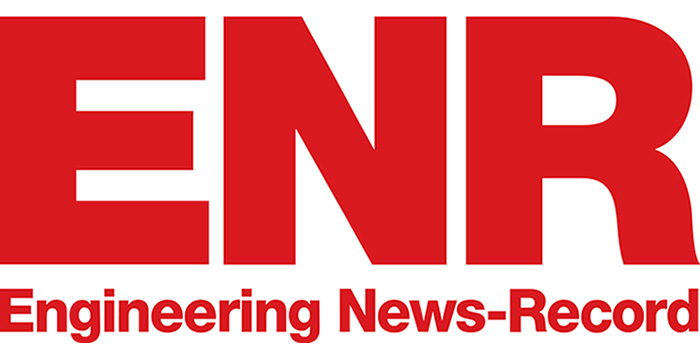 See the full list of top engineering firms here. OLA was also ranked in different building sectors including: 46th in top office engineering firms, 40th in top multifamily engineering firms, 58th in top healthcare engineering firms, and 41st in top k-12 engineering firms. 07/29/2016 The new Sandy Hook Elementary School opened to the media and Newtown residents on July 29. The 87,000 square foot school features three courtyards, study spaces designed to look like treehouses and a moat-like raingarden. The school was designed to be attractive, environmentally friendly, conducive to learning and above all, safe. It draws inspiration from nature, echoing the wooded, undulating landscape of Newtown. “The safety and security measures in this building are second to none,” said Pat Llodra, the town’s first selectman. OLA collaborated with Svigals + Partners and the project team to provide LEED fundamental and enhanced commissioning services for the school. Read more about the new school here. 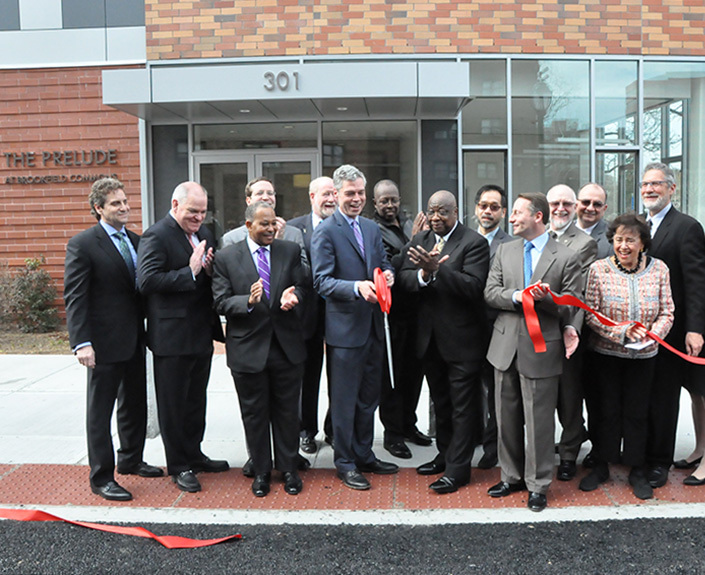 07/19/2016 On July 19, the Boston Road Development officially opened its doors in the Bronx. Collaborating with Alexander Gorlin Architects, OLA provided the MEP system design for the project. The 90,000 square foot building has 154 affordable apartments that are set aside for New Yorkers who were formerly homeless, as well as seniors, those living with HIV/AIDS, and MediCaid users. Amenities offered in the building include a roof terrace, computer lab, bike storage facilities, fitness room, garden, and an on-site laundry area. Read more about the development here. 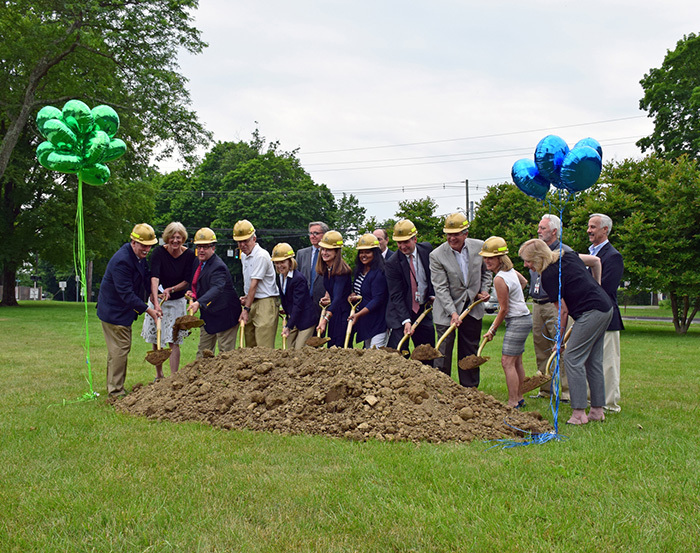 06/16/2016 A groundbreaking ceremony was held for the Saxe Middle School renovation and addition. The ceremony was attended by school administrators, staff and students, members of the Building Committee and the construction team. This project includes renovations to the 59-year-old auditorium and music rooms, as well as a 24,000 square foot addition consisting of STEM/science, art, regular and flex classrooms. Scheduled to be completed in the fall of 2017, this addition/renovation will relieve space constraints in the middle school from the rapidly rising enrollment. Working with JCJ Architecture, OLA is the MEP Engineer for the project. 06/15/2016 A $42.5 million schools improvement bond was passed by Chappaqua residents to fund renovations to the districts six schools and the community’s public library. The renovations will include Science, Technology, Engineering, Arts, Math (STEAM) and Global Learning Centers. “This (bond) is part of a larger, longer journey. 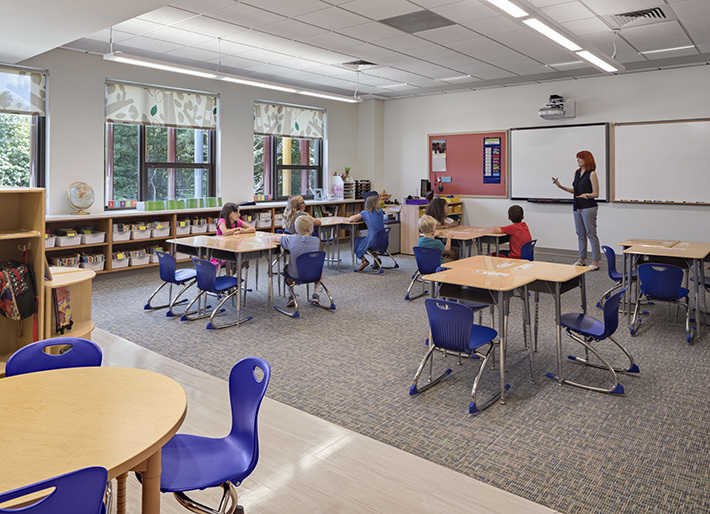 We want to ensure that every student has an opportunity to participate in these larger, more flexible spaces and participate in more active learning,” said Lyn McKay, Chappaqua Central School District’s superintendent. 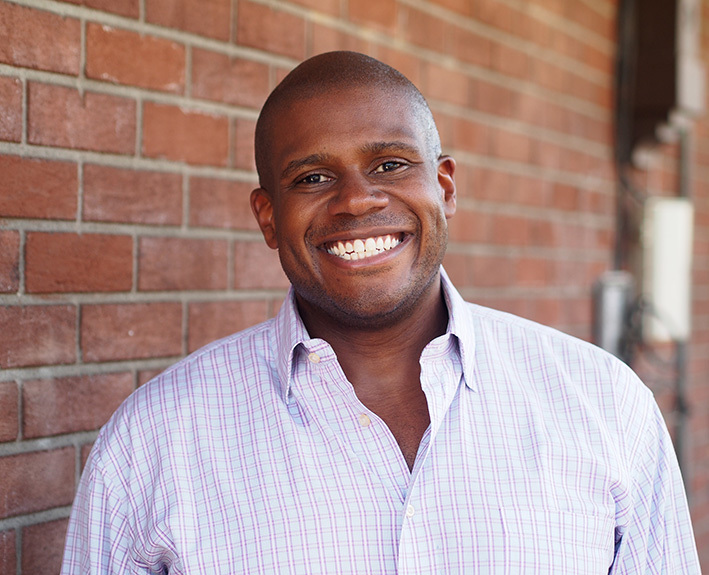 OLA is the MEP Engineer for the district working with KG+D Architects. Read more here. 05/2016 Engineering News-Record New York came out with its Top Design Firms of 2016. OLA is pleased to announce they were ranked 69, up from 99 last year. The list ranks the top design firms throughout New York State based on the previous year’s annual revenue for architectural and engineering services. See the whole list here. 05/23/2016 OLA Principal featured in magazine, Multifamily Residential Project Spotlight, and Career Closet. Read our Spring 2016 Newsletter here. 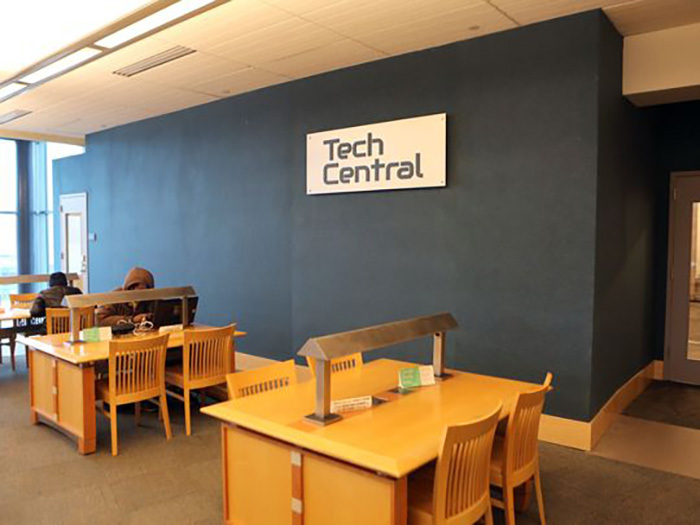 05/04/2016 On May 4th the Yonkers Public Library’s Riverfront branch opened Tech Central, a 2,000 square foot technology center located on the third floor of the library. 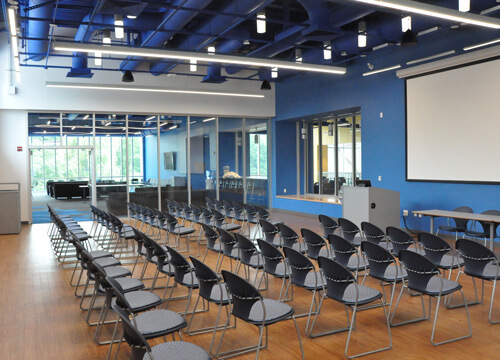 OLA provided Mechanical and Electrical Engineering Services for the new state-of-the-art technology space that includes a sound-proof audio-visual recording studio, a maker space with 3D printers and a large computer training room with various types and sizes of printers. Watch a short video on the grand opening here. 05/02/2016 Pace officials and invited guests joined Joseph Ianniello to celebrate the grand opening of the new Ianniello Field House on April 30th. The 14,010-square-foot Field House features a strength and conditioning center, locker rooms, athletic training room, a sports medicine component, coaches’ offices, equipment room and VIP room. 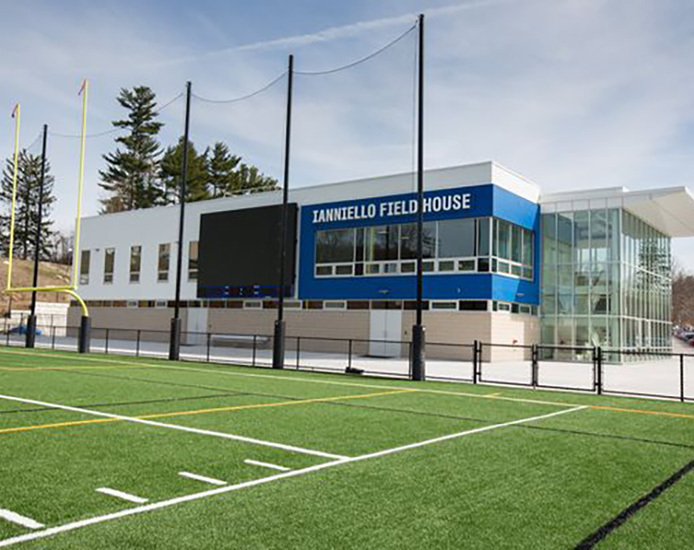 “Pace has designed and constructed a terrific facility that will benefit its student athletes for many years to come,” said Ianniello, Pace alumnus and trustee. OLA provided the MEP systems design, energy engineering and commissioning services for the new state-of-the-art athletic facility. Read more about the grand opening here. 04/2016 Principal in Charge of Energy Engineering, James Dolan, P.E., discusses the new energy code update in the Spring 2016 issue of ArchPLUS. The article goes into detail explaining the revisions of the new code which include: increased requirements for building envelope, control of lighting and daylighting, building mechanical systems, commissioning of systems, and additional “mandatory” requirements. “At a minimum, staying on top of these code requirements will help benchmark realistic energy goals as well as pave the path for expeditious Code Official approval.” The update will be effective October 3, 2016. To read the full article, click here. 03/2016 OLA was featured in the “Business Profiles” section of The Examiner. The article talks about the company, its wide range of services, and how it stands out in the region for its energy engineering and commissioning services. Some of OLA’s notable projects are mentioned in the article as well. OLA’s President, Patrick Lynch, said OLA Consulting Engineers has emerged as a leader of sustainable building initiatives because of its approach. “We’re in the business of creating healthier environments for people to live and work in,” said Lynch. Click here to read the entire article. 03/29/2016 Principal in Charge of Energy Engineering, James Dolan, P.E. joins a roundtable discussion with peers from DLR Group, Setty, AlfaTech Consulting Engineers, CMTA Consulting Engineers, and CannonDesign. The panel of professionals cover ways to enhance the learning experience in K-12 schools. “Specifying the sequence of operations should occur earlier in the design process to help ensure the operation of the HVAC system is as intended and maximize the flexibility of the systems.” To read the full article, click here. 03/10/2016 Representing our firm, Principal John Torre, P.E. and Associate, Richard Joyce, P.E. attended the official opening of The Prelude. Mack Carter of the White Plains Housing Authority and Mayor Tom Roach were among the many speakers to celebrate this 104-unit mixed use building. A 13,000 square foot community center serves as a business and culinary training center for the local community. 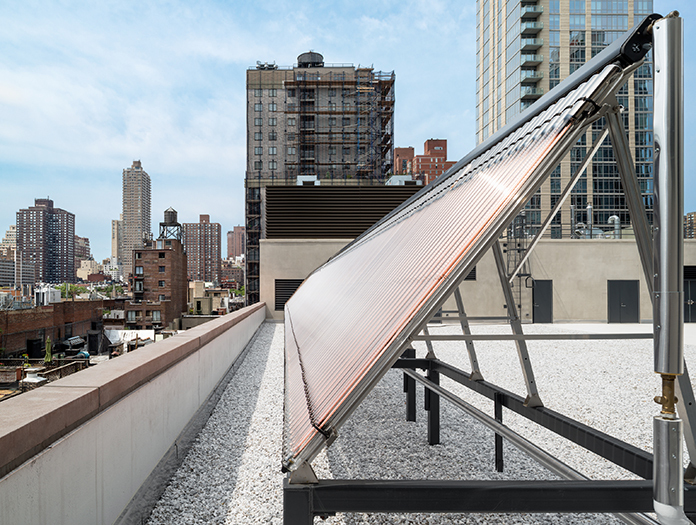 Achieving the Enterprise Green Communities designation and participating in the NYSERDA Multifamily Performance Program, OLA’s team designed MEP systems to support these efforts. The 42.18 million dollar development was funded and supported by federal, city and private funding. Read more about the project and the ribbon cutting ceremony here. 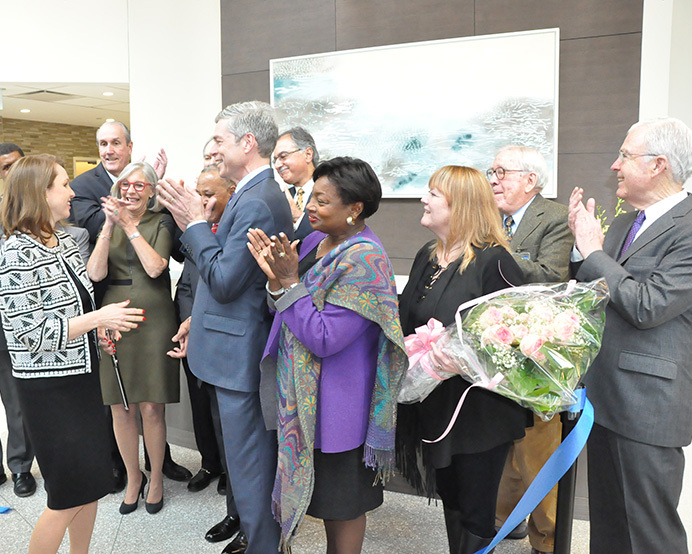 02/23/2016 From doctors and patients to elected officials, many gathered to join in the excitement of the White Plains Hospital Cancer Center. Attached to the large campus, the free standing cancer center is 70,000 square feet. The new space includes acupuncture and relaxation rooms, wig rooms, infusion units, and more. Mayor Tom Roach said the space is an indication of a “hospital looking for the future.” OLA is currently the energy engineer and commissioning agent on the project. 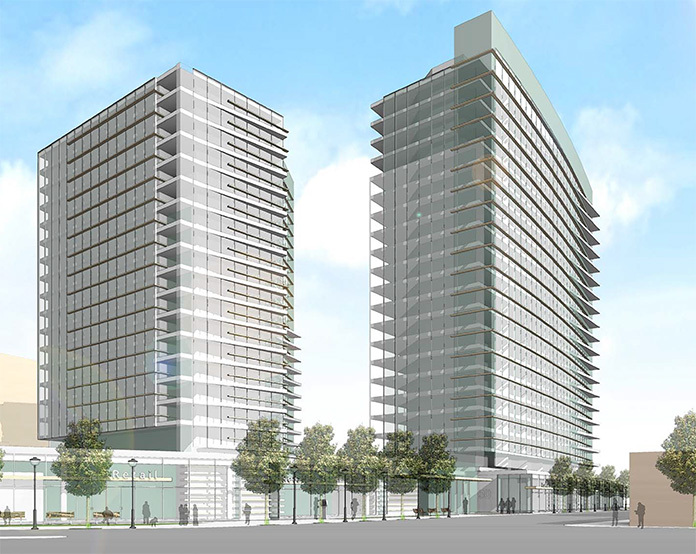 2/4/2016 Totaling over 1 million square feet across two towers, this new mixed use retail/residential development will replace the former Westchester Pavilion Mall in the heart of White Plains. OLA is the MEP engineer for the project. At the White Plains Common Council, Mayor Thomas Roach was quoted saying “this project brings the promise of an enlivened Post Road/South Broadway/Maple Avenue area with more people on the street shopping, dining and enjoying the many benefits White Plains has to offer.” To read more of the feature article, click here. 01/05/2016 OLA is collaborating with Svigals + Partners and the entire project team to provide LEED fundamental and enhanced commissioning services for the new Sandy Hook Elementary School. 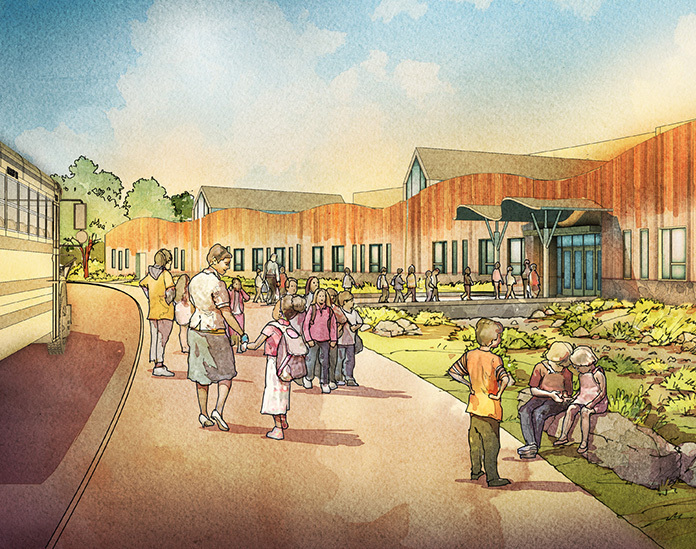 Currently under construction, the project encompasses a strong sense of community and the natural beauty of Newtown, CT as an 87,000 square foot state-of-the-art educational facility. Read more about the progress here. 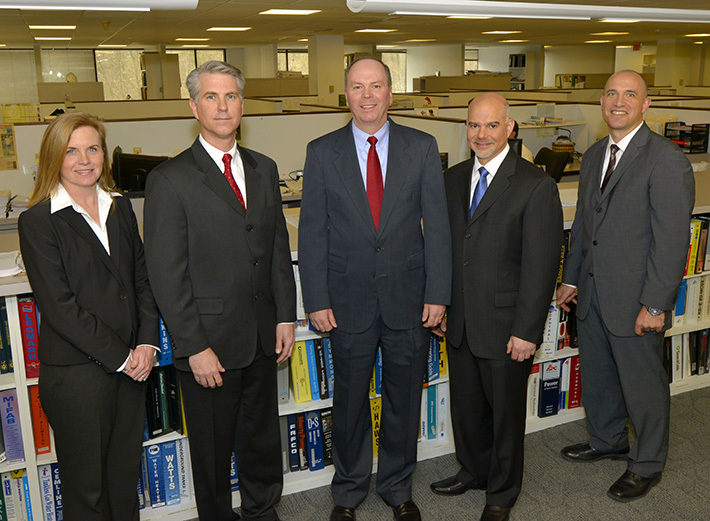 12/01/2015 We are pleased to announce the promotions of Camille Bowman, Robert P. Gruffi, Kerry Gorczynski, and Brian Tyler. Each of these engineers energize their teams and provide a positive impact on OLA’s mission to deliver cost-effective, sustainable solutions. 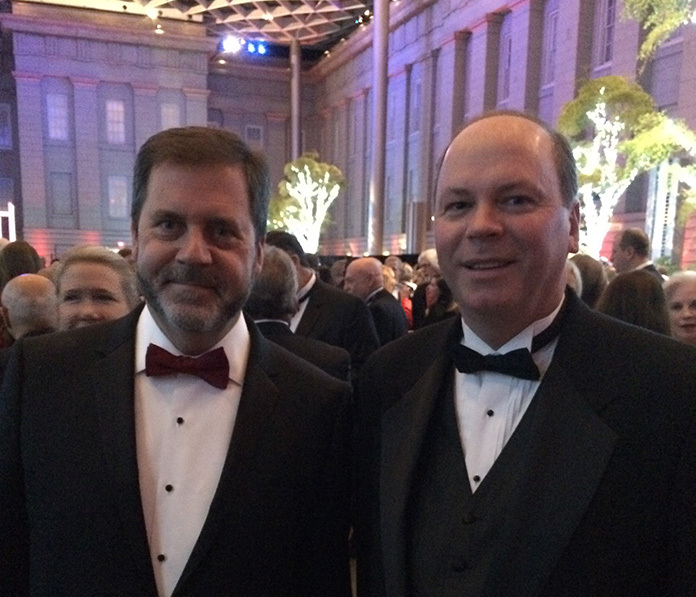 OLA attends AIA National in Washington, D.C.
12/2015 OLA attended the AIA National inauguration held at the National Portrait Gallery in Washington D.C. to celebrate Russell A. Davidson, FAIA of KG&D Architects as the 2016 AIA President. Congratulations to Russ! 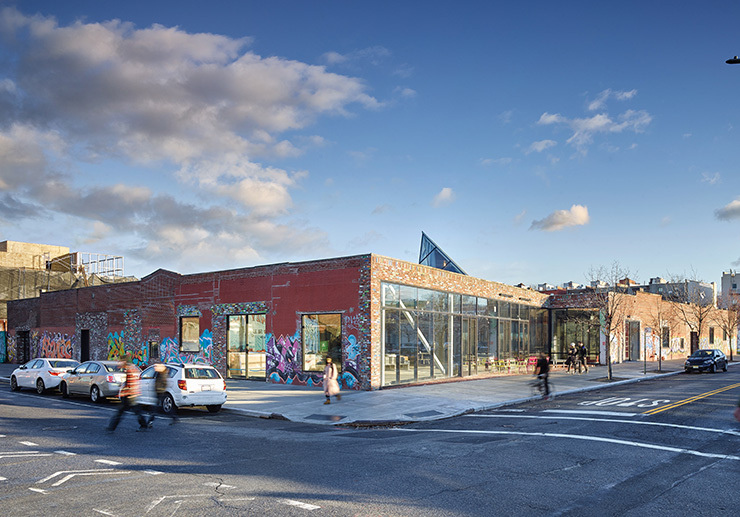 11/30/2015 NYC Athletic Center recognized by American Council of Engineering Companies, AIA WHV Design Awards, GreenBuild, and more. Read about it here. 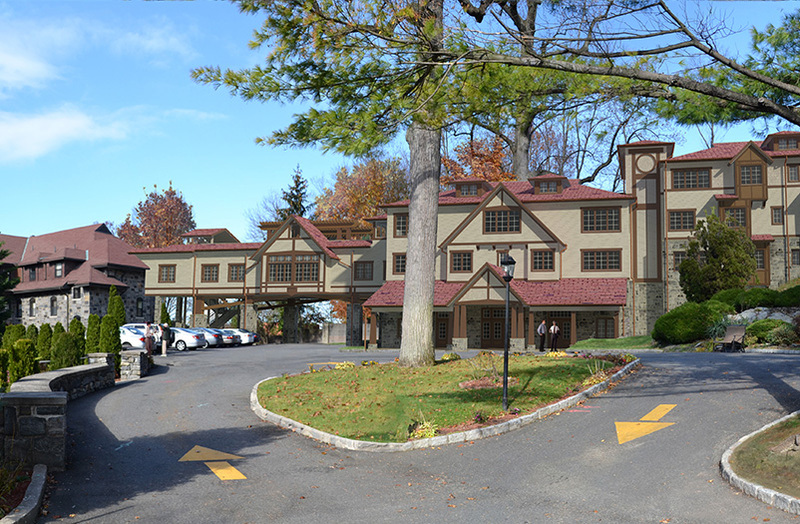 11/20/2015 OLA’s work at the new Athletic Facility for Convent of the Sacred Heart was honored with a Gold Award in Engineering Excellence Awards by the American Council of Engineering Companies of New York (ACEC-NY). Driven by an environmental commitment and a desire to construct a facility with competitive amenities to support young girls and the community, OLA’s engineers met challenges to innovate a design that exceeds traditional expectations. The 50,000 square foot facility stands as a tangible representation of what a true dedication to both environment and community produces. 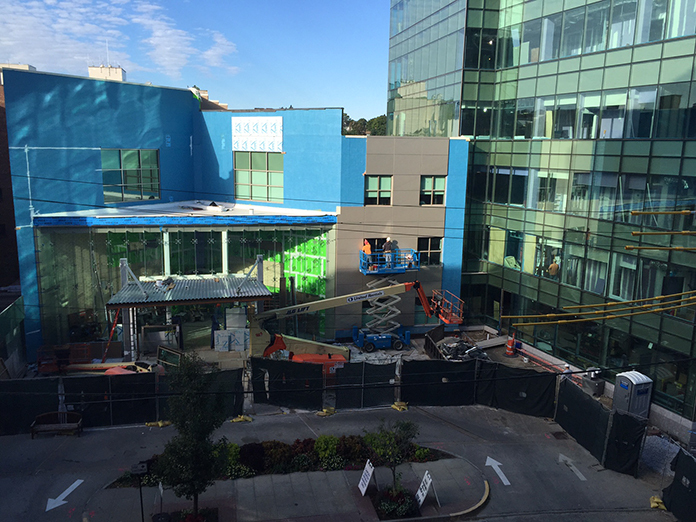 10/29/2015 OLA Consulting Engineers is the Energy Engineer for the 4-year, $100 million renovation and addition project at White Plains Hospital. Progress continues with the recently opened 5,300 square foot lobby. The lobby was referred to as “the Gateway to a new era” by Susan Fox, White Plains Hospital’s president. The remaining 6-story addition is set to open soon. 10/28/2015 In collaboration with Perkins Eastman Architects, OLA provided Mechanical and Electrical Engineering Services for the renovations of an existing main Sanctuary and adjoining Social Hall for the Jewish Community Center of Harrison. The project includes the 3,500 square foot circular Sanctuary and 4,000 square foot Social Hall flooded with natural and high efficient lighting and flexible seating configurations. The completed space received an AIA Westchester + Hudson Valley Honor Award. 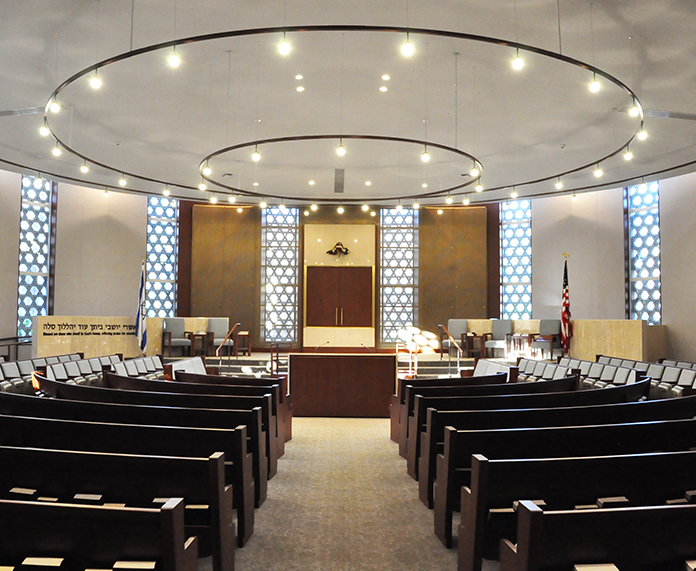 10/28/2015 Alongside Alexander Gorlin Architects, OLA’s team designed the MEP systems for a renovation and addition project of Louis Kahn’s notable design at Temple Beth El in Chappaqua, NY. 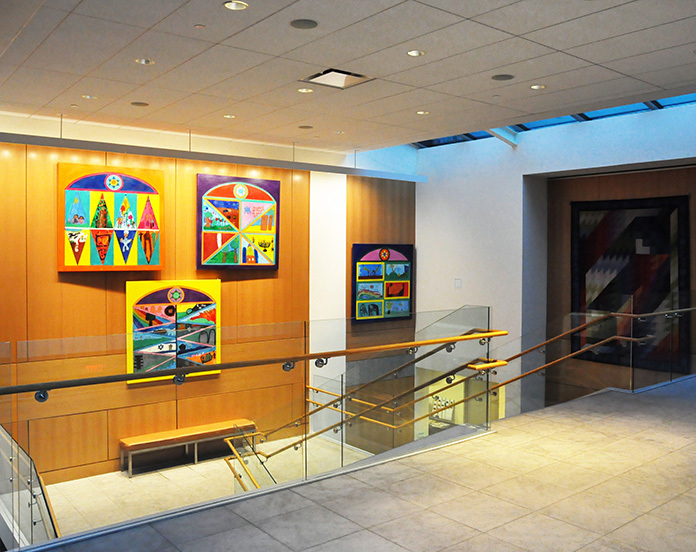 A sunlit entryway connects the addition and renovated spaces including classrooms, synagogue, banquet area, kitchen, and offices. The completed 41,000 square foot space received an AIA Westchester + Hudson Valley Citation Award. 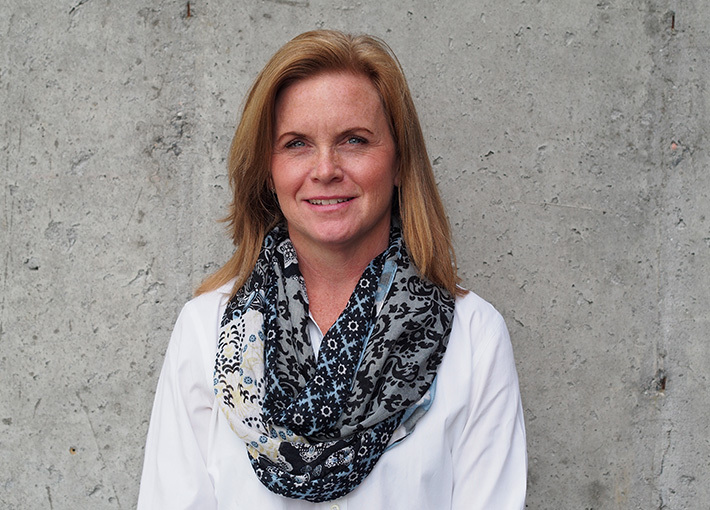 10/22/2015 Principal in Charge of Mechanical Engineering, Jill Walsh, P.E. joins a roundtable discussion with peers from Parsons Brinckerhoff, WFT Engineering, and E&A Services. The panel of professionals cover trends and changes in office buildings. “Engineers are being asked to design systems that are more efficient, more compact, and still support the ever-changing experience tenants want to have within their space.” ~ Walsh Read the whole article here. 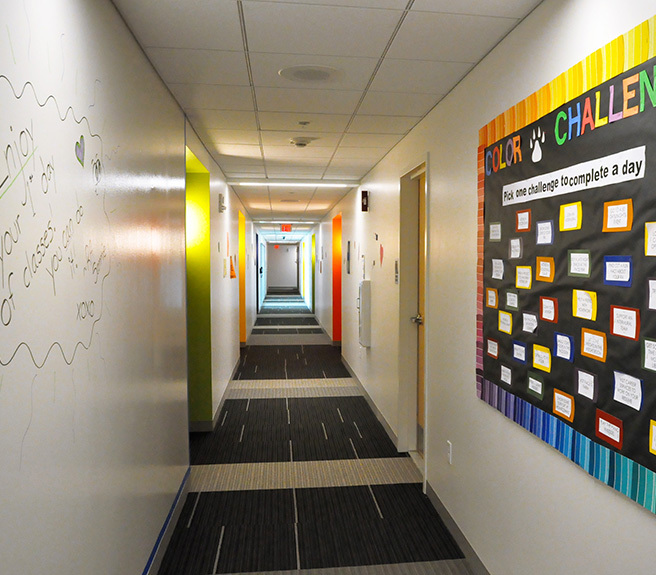 09/02/2015 Pace University welcomes students into its new residence hall. The new building was designed to enhance student experience with glass study lounges, spacious student rooms, and bright dorms. 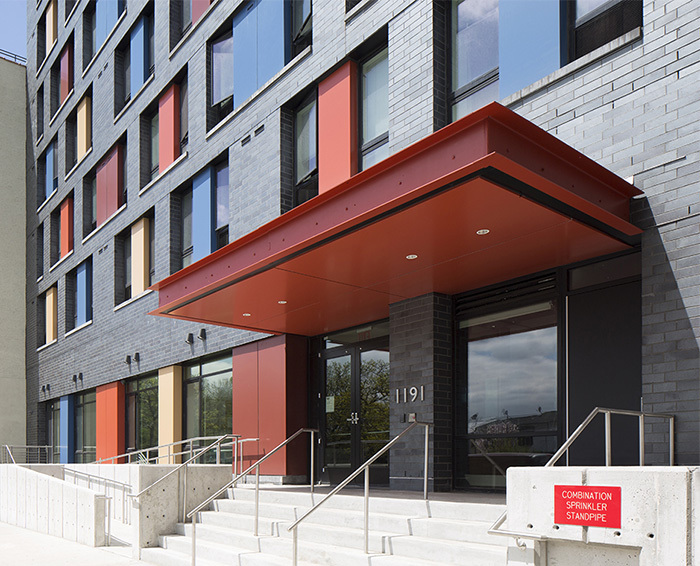 OLA provided commissioning services for the space and is currently performing services for a second residence hall on target to open next year. 7/15/2015 New York City’s oldest independent school for girls opened their 50,000 square foot athletic facility in September 2014. 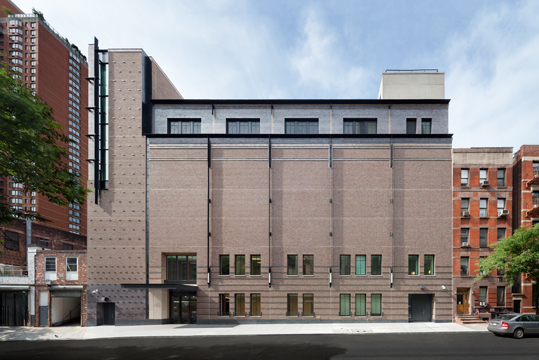 OLA was the MEP engineer for the project and is proud to see the building was recently recognized by the Brick Industry Association with a Silver Brick in Architecture Award. To read more please click here. 7/2015 Alongside Carol Kurth Architects, OLA’s team designed the MEP systems for this new dessert studio in Chappaqua, NY. 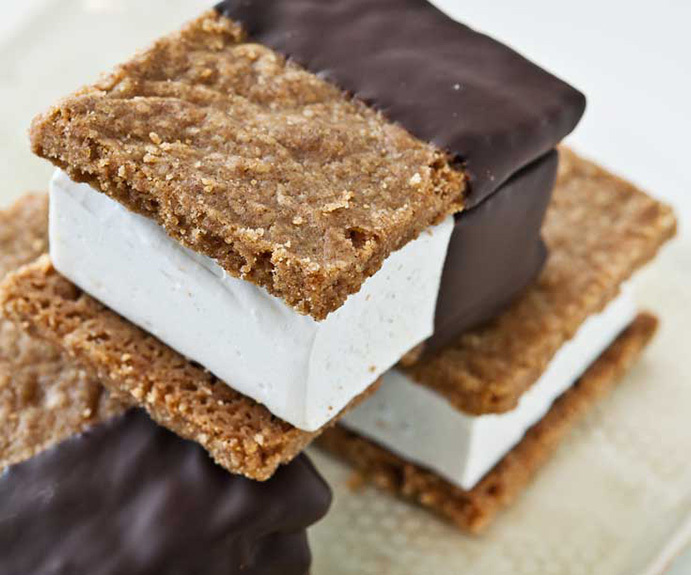 Owner and Pastry Chef Sherry Blockinger was praised for her sweet creations. Read more here. 03/09/2015 The OLA family entered Spring by dining with fellow NYSSPE members, holding a food drive, enhancing building functionality, and more. Read about it here. 02/20/2015 OLA’s President, Patrick Lynch, was awarded Engineer of the Year by the New York State Society of Professional Engineers Westchester/Putnam Chapter at the Society’s 43rd Annual Engineer’s Week Dinner Dance. As the chapter’s highest honor, Engineer of the Year was established to recognize a professional engineer for substantial contribution to the engineering profession. “There are many influences that brought me to be in a position to accept this award, from the mentors that dedicated their time to my career, to trusted relationships with both colleagues and clients. This truly is a recognition for OLA not one individual from OLA,” said Lynch. Read the full release here. 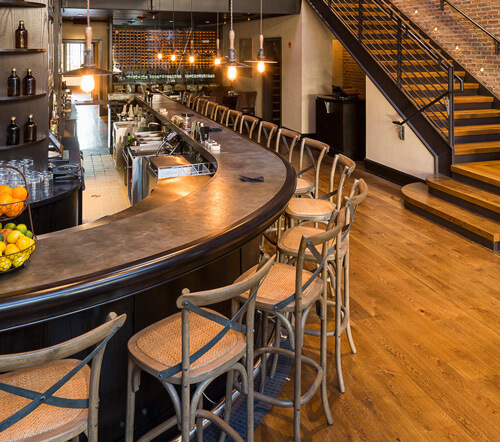 11/4/2014 In collaboration with Grandberg & Associates, OLA Consulting Engineers designed the MEP systems for this full building renovation to construct Winston Restaurant in Mount Kisco. A central skylight atrium floods the 3-level, 9,000 square foot restaurant with natural light. Opened in October 2014, the building received an AIA Westchester and Hudson Valley Honor Award. Westchester Magazine featured the project in their “Eat & Drink” column. 11/4/2014 Working with KG&D Architects, OLA performed the energy engineering and commissioning services for the renovation and expansion of the existing middle school in Putnam County. OLA assessed energy savings of the project associated with high efficiency components and helped Brewster obtain NYSERDA incentives as well as ongoing long-term energy savings. The completed project was honored with an AIA Westchester and Hudson Valley Citation Award in the Institutional Category. 11/25/2014 We are proud to be featured with notable Westchester organizations like The Music Conservatory of Westchester, Stark Office Suites, and McCullough, Goldberger & Staudt, LLP to discuss milestones. 40 years and growing! You can find the full interview here. 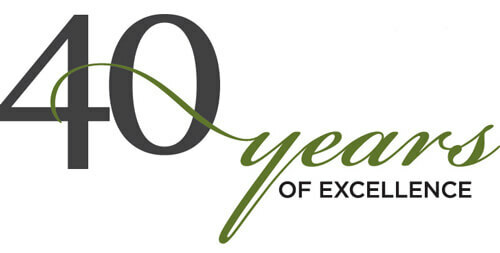 10/01/2014 A 40th anniversary open house, a ground breaking, 914Inc photoshoot, a night with Westchester’s small businesses, AIA gatherings, latest engineering news, and more… Read the entire newsletter here. 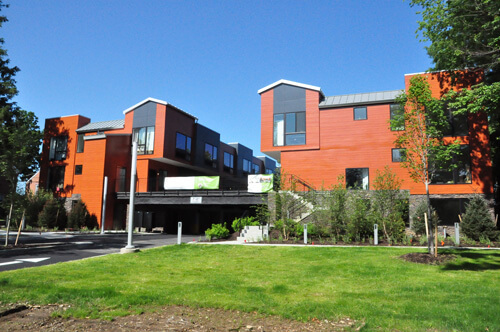 11/20/2014 Working with Papp Architects, OLA provided the MEP system design for Lighthouse Enterprises’ four new multi-family buildings in White Plains. Both modular and on-site construction, each building features high-end finishes and appliances. Ranging from a luxury rental complex just blocks from Mamaroneck Avenue to town homes on North Broadway, the buildings are close to transportation and the vibrancy of White Plains. To read more about the opening ceremony, click here. 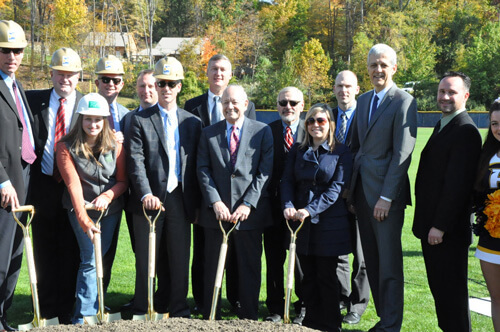 10/09/2014 At a groundbreaking ceremony, Pace University President and Athletic Director celebrated the beginning of construction on their new athletic facilities with alumni, enrolled students, local government officials, and media. As the MEP engineering firm for the project, OLA’s Dan Smith and Rich Joyce were present at the exciting event on October 9th. Read Pace’s full release here. 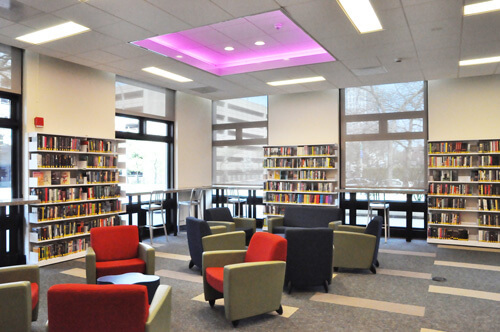 09/03/2014 White Plains’ Teen Center, The Edge receives a 2014 Building Award from the NY Library Association’s Public Library Section. As the engineering firm, OLA designed all mechanical and electrical systems for the project. The new space provides an inspiring environment for local teens to connect and grow. To read more about the award and space, click here. 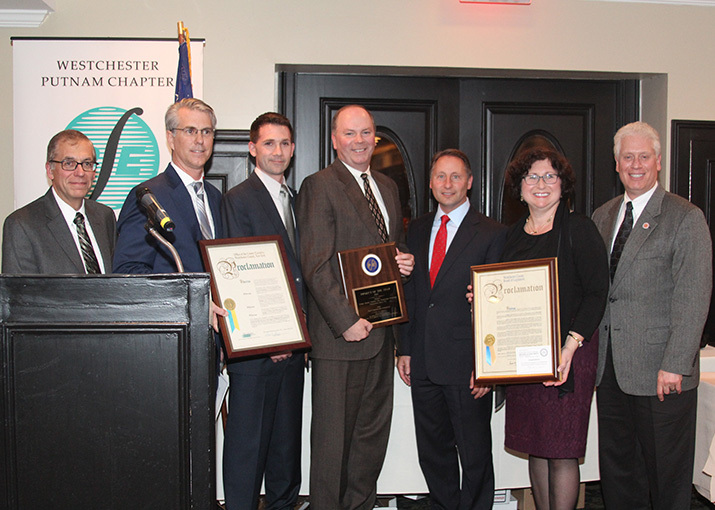 09/03/2014 Westchester’s quarterly business magazine, 914INC., celebrated the 2014 Small Business Award honorees at a cocktail reception hosted at the Crowne Plaza in White Plains. 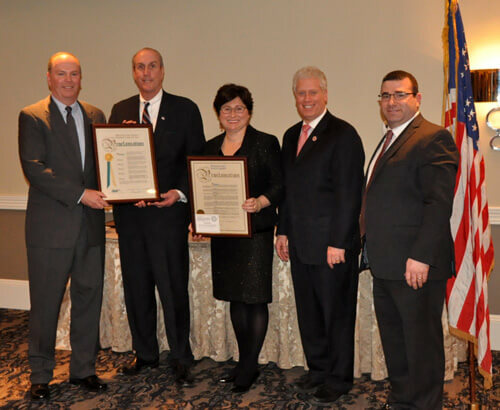 OLA was one of ten Westchester businesses to receive the award. To meet all award winners, click here.